Create the perfect summer accessory by making your own Indigo resist dyed custom made Espadrilles! Espadrilles are a great introduction to shoemaking and no previous shoemaking or sewing experience is required. 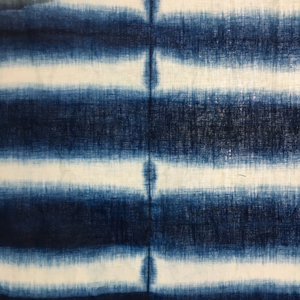 Students will spend the first day at CTS learning how to dye the canvas upper in natural indigo using various resist dye patterns. The second day will take place at Art + Sole Academy where students will sew their fabric uppers and learn the traditional hand stitching techniques for assembling the upper to the traditional jute outsole.